How much sparkle has Jezki still got? Istabraq, one of the greatest hurdlers of all time, is remembered in the Grade 3 hurdle (3.25) and it is fitting that JP McManus should be strongly represented in the two-mile contest with 2014 Champion Hurdle hero Jezki and dual Grade 1-winning hurdler Jer’s Girl. 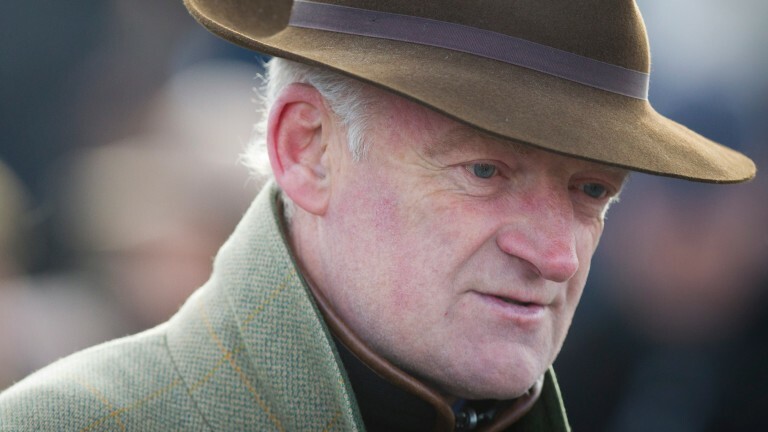 Champion trainer Willie Mullins was successful in this race 12 months ago with Ivan Grozny, who will be bidding to retain the prize, but Ruby Walsh has opted to ride the unbeaten Coquin Mans instead. There was something special about how Sayar got off the mark for Willie Mullins over hurdles at Kilbeggan in August and the four-year-old will be bidding to confirm his high reputation with victory in the Grade 3 Joe Mac Novice Hurdle (4.00). Mullins has won the last two runnings of this race, with Penhill and Bachasson, and is also represented by Law Girl. The Gordon Elliott-trained Morgan arrives here following a wide-margin victory in a novice hurdle at Listowel and will be trying to turn the tables on Housesofparliament, who was just under two lengths too strong for him in a novice event at Galway. Not seen since that victory, Frank Berry reports Housesofparliament to be in rude health, and said: "Joseph [O'Brien] is very happy with him and thinks he can run a nice race. It does look a very competitive contest." Downforce has yet to replicate the form that enabled him to land a Listed sprint at Cork on his seasonal debut back in April when the ground was borderline unraceable, but Willie McCreery’s sprinter may be able to land the Group 3 Concorde Stakes (2.50) with conditions set to suit. The Fast Company gelding could not rival Quiet Reflection in a Group 3 at Naas last week, but there was no disgrace in finishing fifth and he had the reopposing Gordon Lord Byron and Flight Risk behind him on that occasion. Fresh from winning the Kerry National at Listowel, the Gordon Elliott-trained Potters Point will be attempting to follow up on that career highlight in the Grade 3 Like A Butterfly Novice Chase (5.05), but it won’t be easy facing Conrad Hastings and Rathvinden. Conrad Hastings has won two of his three starts over fences this season while Rathvinden barely broke a sweat when winning a novice chase at Listowel by 20 lengths. It promises to be a fascinating contest. Robbie McNamara knows a good bumper horse when he sees one and believes Tramore winner Dasmyhoss will run a big race in the finale (5.35) under Barry O'Neill. Dasmyhoss was an easy winner at the Waterford track in August and the trainer believes his charge has taken a step forward from that success. He said: "We hadn't got him wound up for Tramore and we've been able to get stuck into him since. “He's grown up an awful lot after that win, both mentally and physically, and while Willie's horse [Brahma Bull] looks a fair one, we think our fella can put it up to him."